Our cycling instructors are fully certified (BEESAC) and will guide you and support you in your activities VTT. They have expert knowledge of the activities of cycling, especially mountain biking. 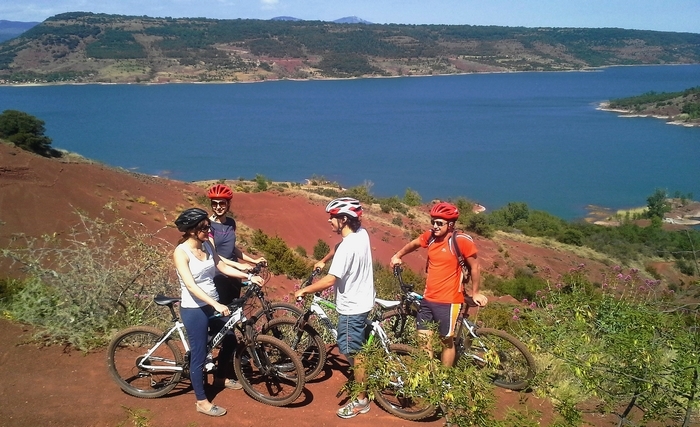 They are regional experts for Salagou Lake, Hérault Valley, Causse du Larzac and the department of Hérault. We can come to you, your schools or other places. They can also deliver excellent bikes for hire. - Discovery Activity biking, lessons for beginners. - Day seminars or team building activities. An instructor will contact you and help you with your custom adventure.